We believe that every professional should be able to rely on equipment that complies with safety regulations, made from high-quality, durable materials. It is the ideas and great inventions that make every wall mount or portable makeup station Cantoni unique. Such details may pass unnoticed to the untrained eye, but they make the difference between an original and a copy, a useless or a functional tool, a second-rate or an elegant style or an unsafe or a certified makeup station. Certified and patented, portable make-up cases and chairs. The I-light lighting system is protected by a European patent: the light points do not emit heat, thus protecting the beauty artist and their customers from the hazards posed by accidental burns. 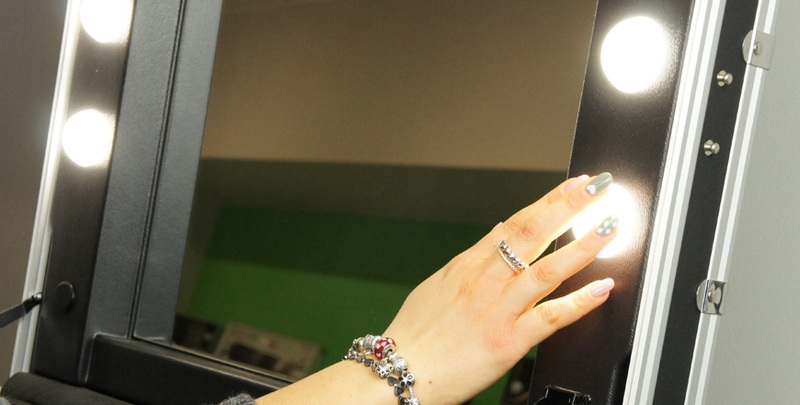 This type of lighting also means that the lid of the make-up cases can be closed immediately after use, without the risk of damage to containers inside the case. The I-light is not blinding, even when used for a prolonged period of time. All of Cantoni’s products are certified. 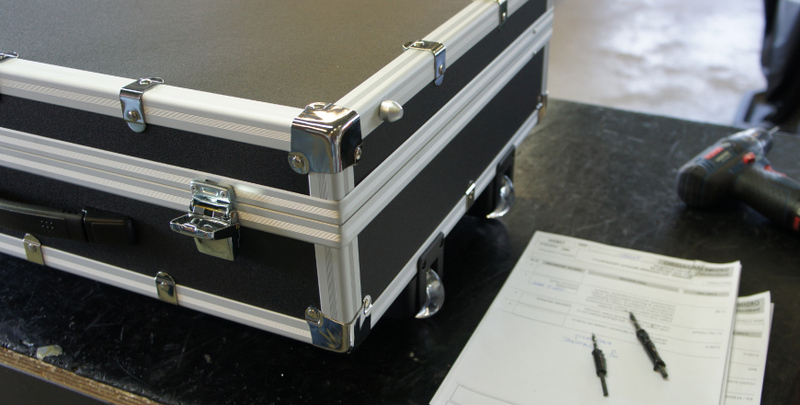 The electrical system of our portable stations is compatible with 110V – 240V. This is the name with which Cantoni’s make-up cases were patented in 1995. Since then, Cantoni has not stopped, constantly adding details to improve efficiency, appearance and functionality to its portable makeup stations and to its entire product range. The telescopic legs were added in 2010. In 2010, the company has renewed its entire range of mobile an portable workstations, making them more compact and their use further practical. The telescopic legs and suitcase form a single body: this patented system ensures that the portable makeup station opens and closes in 35 seconds, easily, without the risk of losing or forgetting parts and without the need for tools. Safe and certified make-up chairs for make-up artists. Not only has Cantoni made it possible for make-up artists to work anywhere in an ergonomic manner, thus safeguarding their health, it has also resolved the issue of poor stability of portable make-up chairs, a problem well known to operators within the field, thanks to a new range of anti-tip make-up chairs.